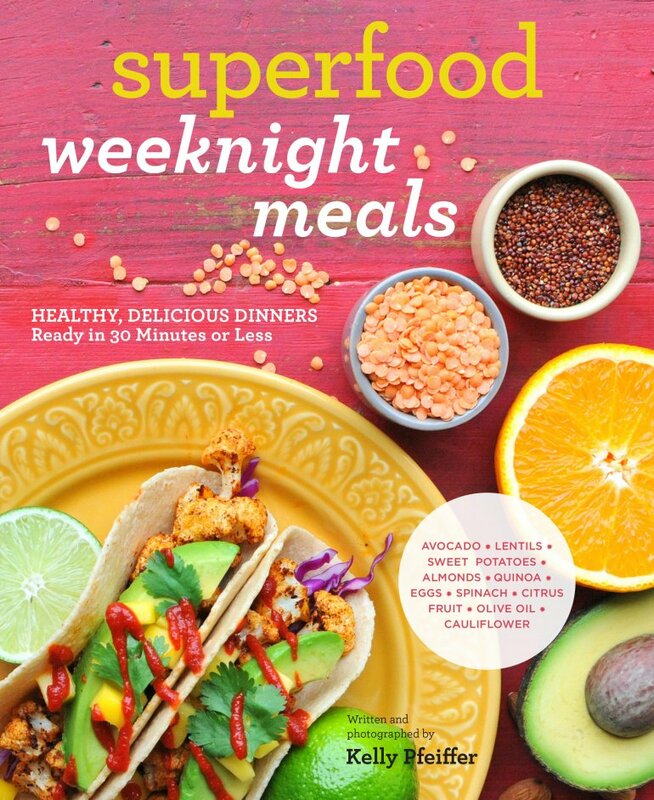 Sooooo excited to tell you, my newest cookbook, Superfood Weeknight Meals, is now available!! 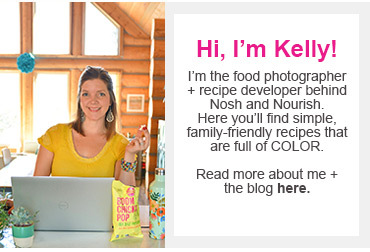 Fast and healthy weeknight cooking --- it's an area where almost all families struggle. 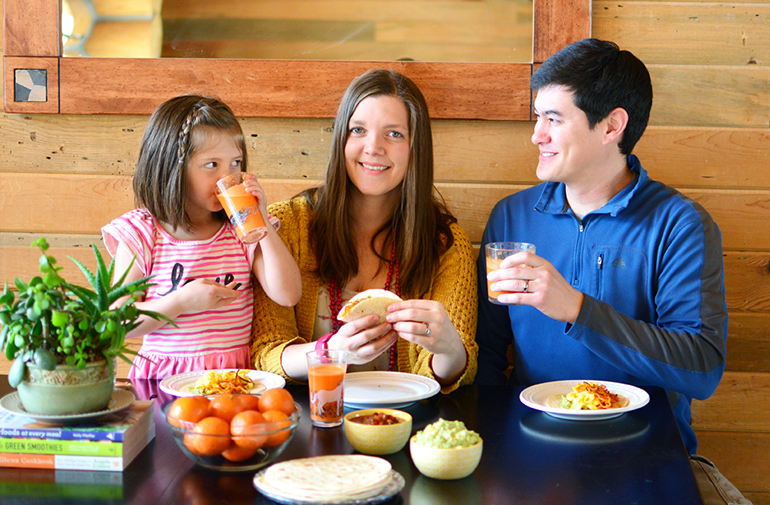 You want to have a nourishing, family-friendly meal on the table each night, but with too little time and too many picky palates, it can be hard. That's where my book comes in. 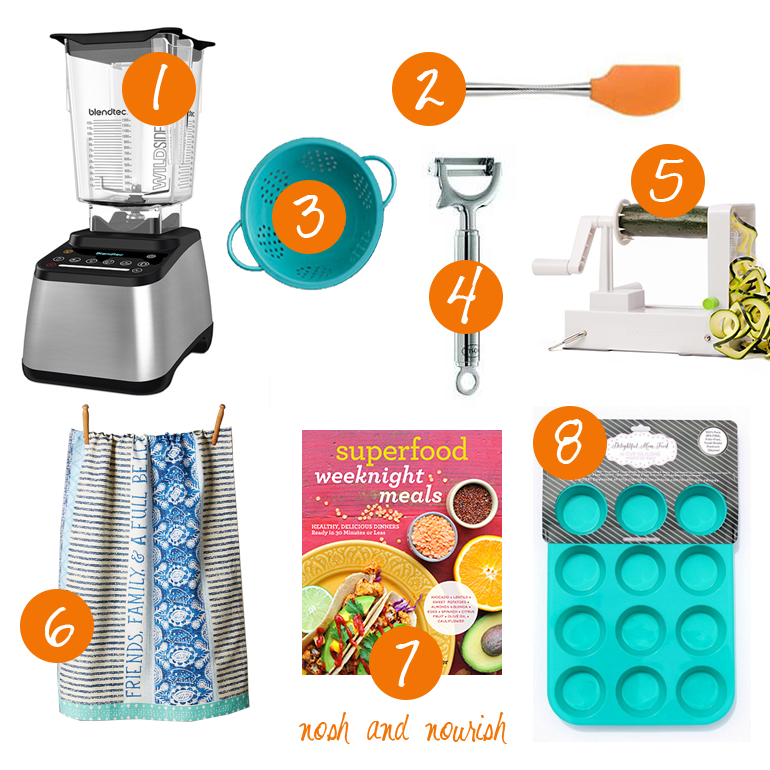 With each recipe featuring at least two of these ten everyday superfoods-- avocado, cauliflower, quinoa, spinach, sweet potatoes, eggs, almonds, citrus fruit, olive oil and lentils -- you can gaurantee that your family is getting a healthy meal -- and one that you don't have to spend hours in the kitchen making! 90+ Quick & Easy Recipes: Recipes with simple ingreident lists, each with super clear instructions for even the most beginner cook. Chapters Include: Transform your weeknights, Hearty Meatless Mains, Chicken, Seafood, Beef, Breakfast for Dinner, and a BONUS Dessert Chapter! GF/DF/Vegetarian: This book has a little of everything and the recipes are super adaptable no matter which special diet you might follow. Many of the recipes are gluten-free, as I use a lot of almond flour in the book. Similarly, a lot of the recipes are dairy-free, as I use a lot of Silk almondmilk in the book. Annnnnnd, over half of the recipes are vegetarian -- as I believe we all need to eat more plants! Giveaway is open to blog readers in the US. Giveaway will end 11/23 at 8pm EST and the winner will be announced the following week! 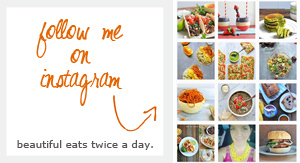 Get one entry for leaving a comment below telling me your favorite, go-to weeknight meal. Get FIVE bonus entries for pre-ordering my book!! Just forward your order receipt to: [email protected]. 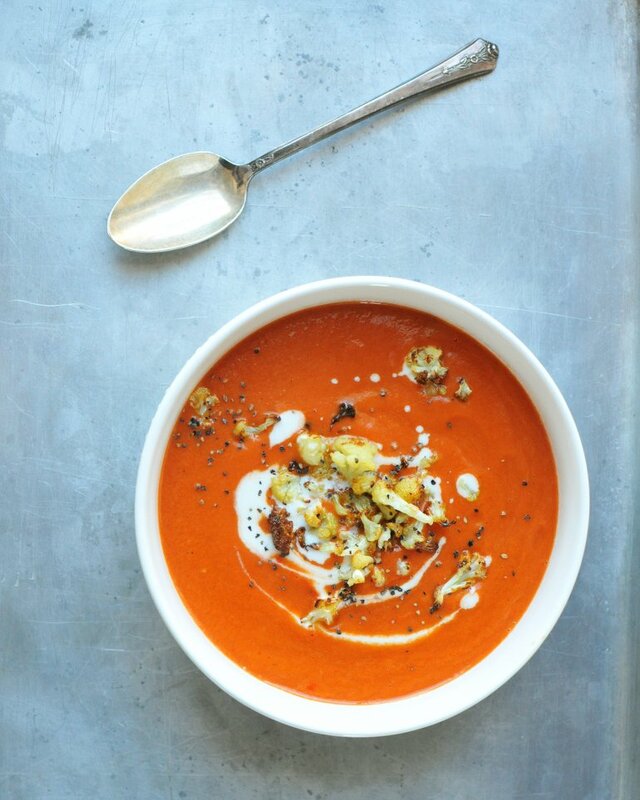 Red Pepper & Tomato Soup with Roasted Cauliflower! This tomato soup is uber creamy (thanks to the Silk unsweetened almondmilk and my high speed Blendtec!) and has a lot less sugar than traditional tomato soup made with dairy milk. ANNNNNNND... forget crushed crackers on top, the roasted cauliflower is the perfect addition—you will wonder why you’ve never added it before! This recipe is sponsored by Silk, as part of our ongoing partnership. Their almondmilk is used in over half of the recipes in my new book! For updates, discounts, offers and more recipes...sign-up for Silk’s newsletter here.